Our vision is to be a world-class college for shaping future hospitality leaders. We educate a diverse student body for leadership in the global hospitality industry through experiential and lifelong learning, and we advance the field of hospitality management through innovation, excellence in teaching, applied research, and service to our communities. We pursue academic excellence through student centered experiential and life-long learning, relevant applied scholarship, and service to our communities. We inspire student success by providing intensive industry engagement, quality academic experiences and advising support, and a vibrant hospitality culture. Our student, faculty, and staff diversity across multiple dimensions is deeply valued and respected. We partner with industry and alumni through mutually beneficial and meaningful relationships to provide well-prepared future hospitality leaders. We ensure a collegial and ethical environment in which faculty, staff, and students can thrive. Cal Poly Pomona launched a new strategic planning initiative in winter quarter 2016. Adopted in September 2017, the CPP Strategic Plan 2017-2021 charts the university’s course for the next several years while also identifying top academic and campus initiatives and the resources and facilities to achieve those objectives. 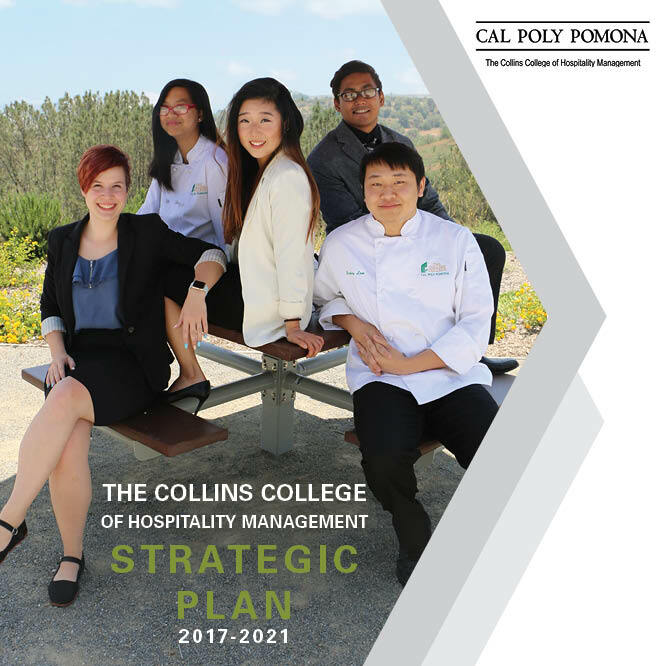 In September 2017, The Collins College completed strategic planning to support CPP's efforts and released its 2017-2021 Strategic Plan. It refreshes our focus and invigorates our work in supporting CPP's success and impact, as we move together as a campus and community toward 2021.